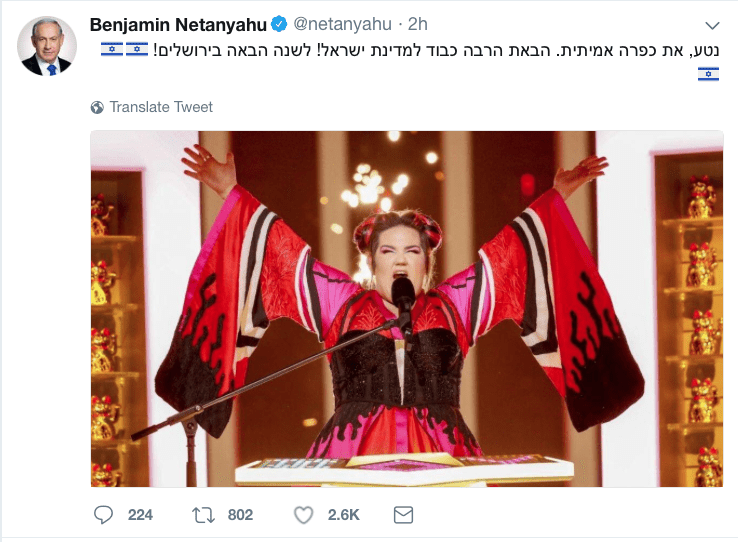 As the world prepares to celebrate Israel’s 70th Anniversary on Monday, May 14th, the nation was given a boost as Israeli contestant, Netta won the Eurovision Song Contest on Saturday, May 12th’ with her song, ‘Toy’. Netta Barzilai won with 529 points, a clear winner by 93 points with Cyprus and Austria in second and third place. Born in Israel, she served in the Israel Defense Forces (IDF) and was part of the Israeli Navy Band. She qualified for Eurovision after winning the Israeli talent show, ‘The Next Star’. Her song, ‘Toy’ was released in March and has had millions of hits on YouTube. It’s not everyone’s cup of tea, although it showcases her powerful voice. Her performance in Lisbon, Portugal went down well with the crowd who seemed taken by her crazy hairdo and bright costume. In the first round of voting as given by juries of music experts in 43 countries, Netta was ranked third, but after viewer votes were added in, she completely nailed it. The win is significant for Israel as it means Eurovision will be held in Jerusalem next time, bringing thousands of visitors from all over Europe to the Jewish state, along with competing groups from each European country, as well as Australia! The contest is a huge opportunity for the host country to promote itself as a top tourist destination, which Israel is, due to its historic sites, Biblical connections and breathtaking scenery. 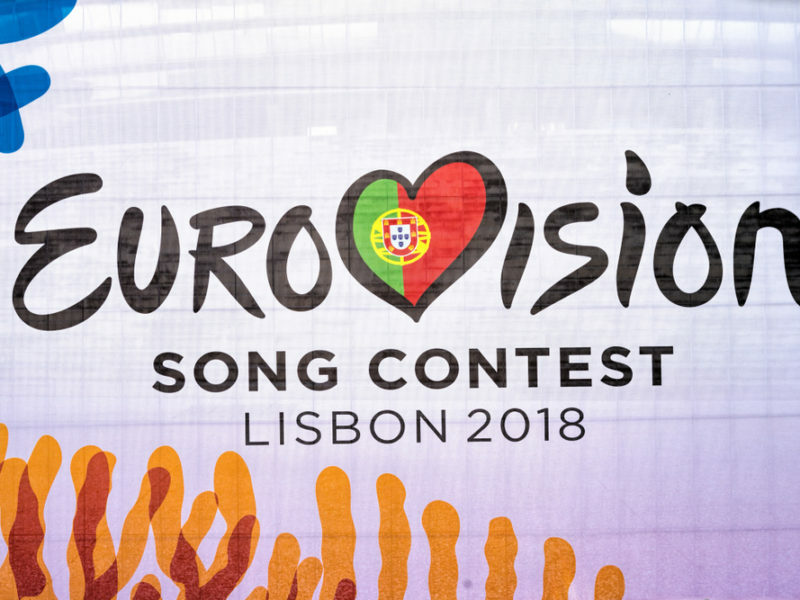 Eurovision is one of the longest-running TV series, with audience figures of up to 600 million viewers internationally and is said to be the biggest singing competition in the world. As we mark Israel’s 70th Anniversary it seems there is much goodwill for the Jewish State, despite those who are anti-Semitic or support Boycott, Divestment, and Sanctions (BDS). With the US Embassy opening on Monday, there is finally recognition from the USA on Israel’s capital and with this European win, there is clearly much favour from the nations of Europe, which is most encouraging. However. those who support Israel must continue to pray for the nation. According to the World Jewish Congress, Netta was targeted by BDS activists who tried to influence European voters to boycott her. A group called ‘Zero Points for Israeli Apartheid’ issued a call to boycott the Israeli singer. “This year’s most talented singer should be judged based upon musical merit, not politics.” the WJC said..
Congratulations Israel on your 70th Anniversary, your new embassy and for securing Eurovision for Jerusalem next year. Mazal tov! Want to be aware of all the latest from the Middle East.